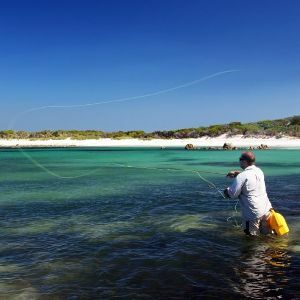 While trout and, to a lesser extent bass and yellowfish were the main focus of the early contributors to Piscator, articles on marine fly fishing started appearing in the 1980s. This was a reflection of a growing interest in marine fly fishing elsewhere in the world. CPS members like Sean Mills and Leonard Flemming contributed articles that reflected their interest in sand shark and mullet respectively. 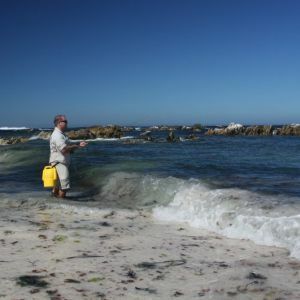 Today some members of the CPS focus on grunter – as the development of the JAM fly indicates - as well as kob and other species found of the Western Cape coast such as garrick. Thanks to the internet, we can follow their R&D efforts on websites like Feathers & Fluoro. The early articles in Piscator retain their relevance however.